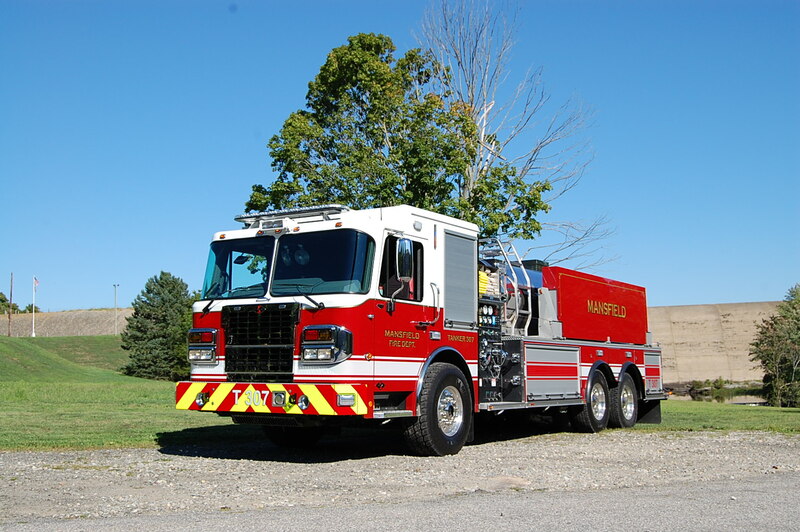 The 2016 Spartan Metro Elliptical has been designated Tanker 307. The truck is equipped with a 450hp Cummings with locking differential. Top speed is 57mph. Dual braking system with an exhaust brake and Jake Brake. 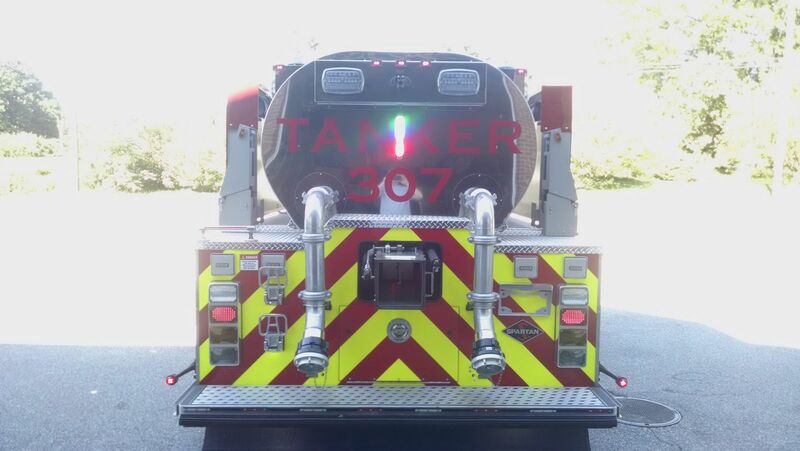 The tank is 3000 gallons and the pump is a Hale 1250gpm with a Trident air primer. There are 2 large direct fills on the rear of the truck with 4" Fireman Friend valves, each terminate with 5" storz at approx. waist height. There is 1 200ft 1.75" cross lay pre-plumbed. There is a 300' dead lay of 3" hose and 100' of 5" hose (2 50ft sections) also in he cross lay section. The truck has 3 10" square dumps (right, left, rear) all controlled from the rear of the truck or the driver’s seat. There are 2 drop tanks (1) 3500 gallons and (1) 3000 gallons. The truck has 2 8" holly tubes and all the components (hose and manifolds) for a dump and fill site. There are 2 SCBA packs. There is 20 gallons of foam in buckets with an eductor. GVW is 65,500. Over-all length is 35' 2", height 9' 9". The turning radius is VERY tight. There are tank level gauges on 3 sides and in the cab. There are cameras on 3 sides and a safety back-stop bumper on the rear. Description and photos are courtesy of Mansfield Fire Chief Fran Raiola.